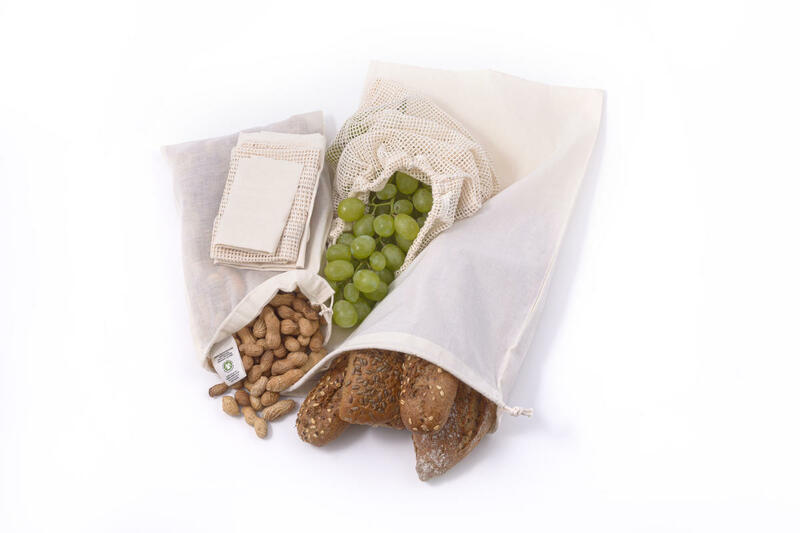 The set includes a fruit / vegetable mesh bag, a small bag of bread rolls and a bigger bag of thicker bread cloth. Everything from bio-cotton. 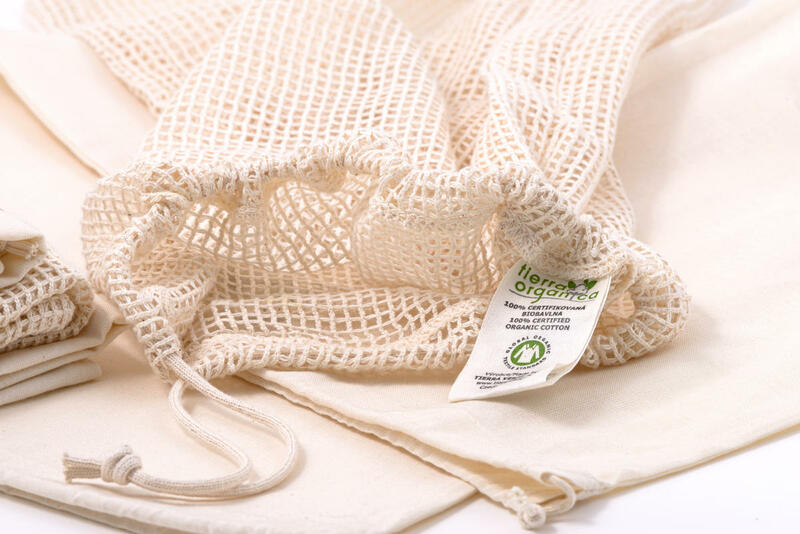 Total weight 100 g. Organic cotton is approved for food use. Mesh bag: shrinkage up to 15 %. During using, it returns into original size again. Bread cloth: shrinkage up to 5 %. Subject * Product inquiry Set of bags – small (3 types) 3 pcs RMA Misc.